We’ve been seeing some steep sales on SSDs in recent weeks, but the juiciest discounts applied only to entry-level 120GB models. No more. Today, you can snag the 240GB Adata Ultimate SU650 for $40 on NeweggRemove non-product link. 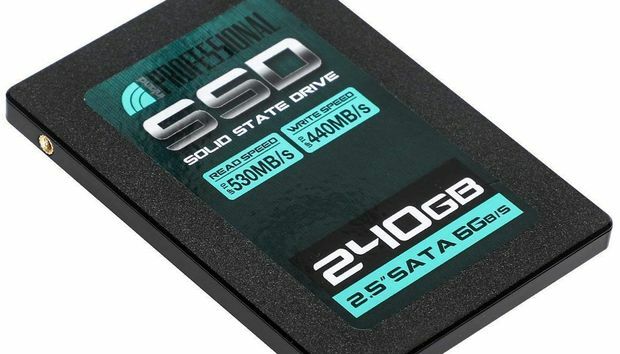 Over on Amazon, you’ll find another 240GB SSD by Inland Professional going for $40, and a 480GB Inland Professional SSD for just $65. Those are amazingly good prices for that much solid-state storage. For comparison, the 250GB version of the Samsung 860 EVO, the best SSD for most people, currently sells for $68—more than you’d pay for the 480GB Inland Professional drive. The Samsung 860 EVO’s superb performance and all-around package makes it worth the money, but don’t sleep on these heavily discounted drives even if Inland Professional isn’t a household name. These SSDs use the standard 2.5-inch form factor and the SATA III interface, meaning they should slip easily into most modern PCs and laptops. All three are rated for read and write speeds much, much faster than you’d coax out of a mechanical hard drive, though we haven’t tested them ourselves. If you’ve been waiting for prices to drop before upgrading to the luxurious SSD life, no more excuses. Now’s the time. Deals this big on SSDs this big don’t come around very often. Why did HCL buy $1.8B worth of legacy products from IBM?